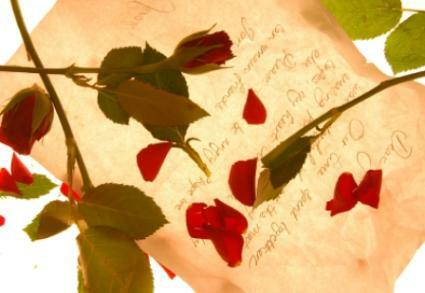 Poems on cheating can help you deal with your heartbreak when your loved one cheats on you. Depending on the poem, it can help you feel like someone else can relate, which can comfort you through your healing process. You just found out your loved one has cheated on you and now you are trying to get over the betrayal. You tried to talk to your friends and family members, but they just don't understand what you are going through right now. You are starting to feel alone in this situation and that no one understands how you feel. Poems on cheating can help comfort you during this difficult time. Millions of people are victims of cheating and many of them have written poetry on the subject. Their feelings may be similar to yours and can help you see that what you are feeling is normal. If you are feeling mad and resentful, a poem can help calm you and help you come to terms with the situation. A poem can help you see things from a different perspective so you can learn from it and start to heal. There are many poets on the Internet that pour out their hearts and souls in poems. Many times, if you do a quick search on Google or Yahoo! you will find people that have posted stories about the betrayal they have experienced. A great way for you to release your emotions is to write about how you feel. You don't have to be a poet to write poetry. Write about what happened that lead you to finding out about your loved one's unfaithfulness and your reaction. You may be impressed with how your words just flow once you get started. Don't try to make the perfect poem because you will end up with writer's block. Just let yourself go and write whatever comes to mind. A poem doesn't have to rhyme, and it doesn't have to make sense. All it has to do is express what you are thinking and feeling at the precise time you are writing. Once you have finished, read your poem. Sometimes when you really get into writing, you can lose yourself and release things you never even thought about or considered. Looking over what you have written can help you start to sort out thoughts, feelings, and emotions so you can start to heal. One of the best ways to heal after a loved one's unfaithfulness is to give yourself enough time. Over time, you will start to feel better about the relationship and accept what happened. To help you through this period of waiting to heal, here are some things you can do to make it a little more manageable. Your friend and family members may pressure you into dating again before you are ready. They may try to set you up with people they know will not betray you even though you are not interested in starting another relationship right now. Just remember, your loved ones are just trying to help so let them know you appreciate their concern, but you are not ready yet. You can tell them that you will keep them up to date on how you are coping and let them know when you will be ready to meet someone new.